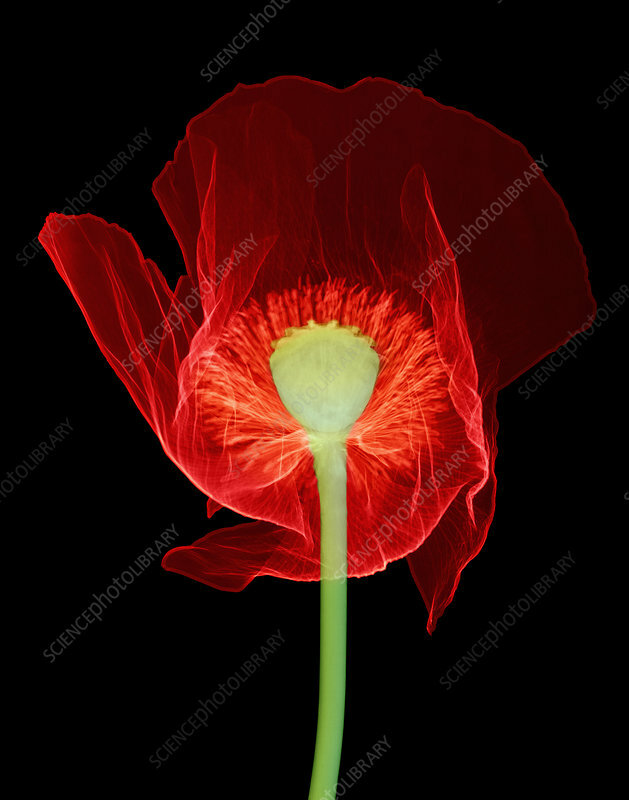 X-ray of Opium poppy (Papaver somniferum) flower. This poppy is the source of opium, a narcotic resin that contains the alkaloids morphine and codeine. These are used by the pharmaceutical industry as painkillers (analgesics). Opium can be refined to yield the illegal drug heroin.